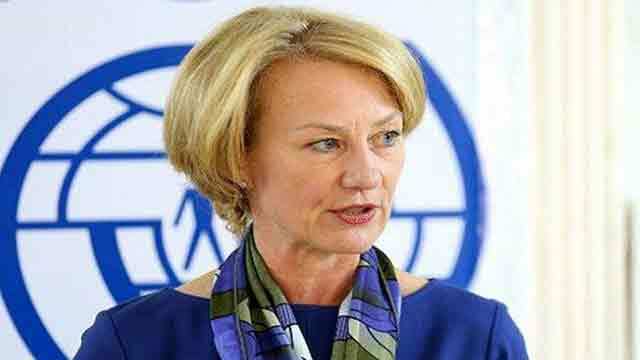 Washington, Apr 3 (Just News): Principal Deputy Assistant Secretary for South and Central Asian Affairs Alice Wells will travel to New Delhi, India, April 3-6. On April 4, she will co-lead the U.S delegation with Acting Assistant Secretary for East Asian and Pacific Affairs Susan Thornton at the U.S.-India-Japan Trilateral Dialogue. On April 6, Principal Deputy Assistant Secretary Wells will participate in the India-U.S. Forum, hosted by the Ananta Centre and the Ministry of External Affairs. During her visit, she will also meet with senior Indian government officials to discuss regional and global issues and meet with representatives from the private sector.